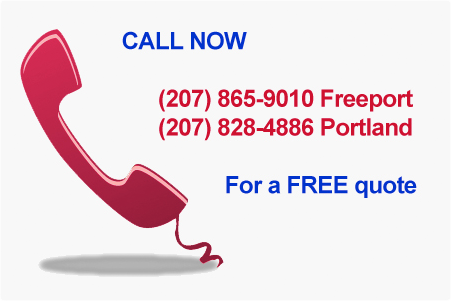 With Charlie Burnham Energy and Heating in Freeport, ME, you get on-time service and installation of all types of heating and cooling systems. You’ll get superior quality and workmanship in your residential and light commercial space whether powered by oil, gas, or propane. You also get smarter, better, more-efficient and economical system design. See our Testimonials for examples of how we’ve been able to suggest the best heating system for our customers with our thorough knowledge of all the products we offer. You always get factory trained and certified Energy and Heating installers and technicians from Charlie Burnham Energy and Heating Service. Each of our employees holds a Maine state license for your peace of mind, satisfaction and insurance of quality workmanship. Everyone at Charlie Burnham is meticulous. And I know this because I’ve worked with other heating service installers for many years. Please thank your crew for the excellent job done. Just as you promised: clean, no damage and completed within the time frame! Thank you all so much for your professionalism and keeping your word.